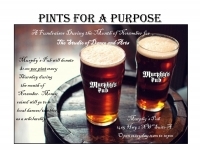 Pints for a Purpose -- EVERY THURSDAY in November. 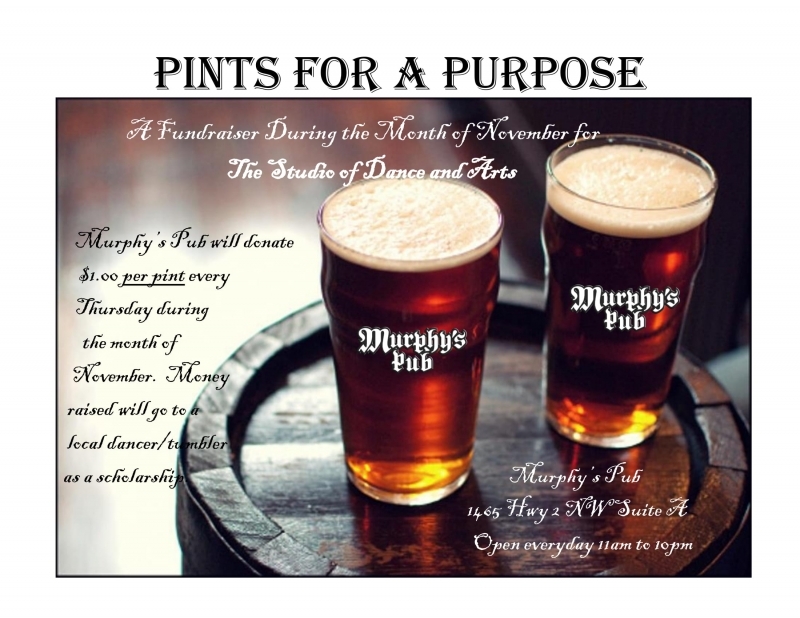 Murphy's Pub will donate $1.00 per pint every Thursday in November to The Studio of Dance and Arts. The money raised will go to a local dancer/tumbler as a scholarship.